With the recent launch of the Celebrity Silhouette, we are all left wondering what will come next for this massive cruise line. We know that older ships in the fleet will be getting an upgrade to “solstice class” over the coming years, but are there any new ships lined up? Well unfortunately, it looks like the answer to that question is no! The CEO of Celebrity Cruises has announced that there are currently no plans to build any additional cruise liners beyond the ship they already have on order (The Celebrity Reflection). This news will no doubt come as a bit of a shock to many in the industry as cruises really seem to have bucked the trend of the economic downturn and have been steadily getting more and more popular over the years. With the cruise industry beginning to perform well in countries where previously there was very little in the way of a cruise industry (Australia for example), we are all expecting growth to continue. However, the CEO feels that the company has taken on a lot of new capacity in a very short space of time, and clearly this is enough for Celebrity for the time being. The Silhouette was officially christened on Thursday just gone in Hamburg, Germany. It is the fourth of the solstice class ships, with the fifth due to arrive in 2012. 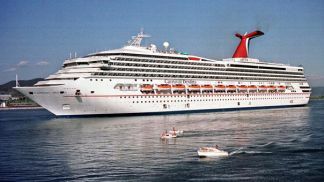 Solstice class ships are a whopping 35% bigger than the second biggest class of ships in the Celebrity fleet, massively adding to the cruise line’s capacity. Well, it is disappointing to see that there will be no more new Celebrity cruise ships for a while after Reflection launchs in 2012, but I’m sure other cruise lines will continue to bring out more vessels, each one sleeker, bigger, and more innovative than the last!